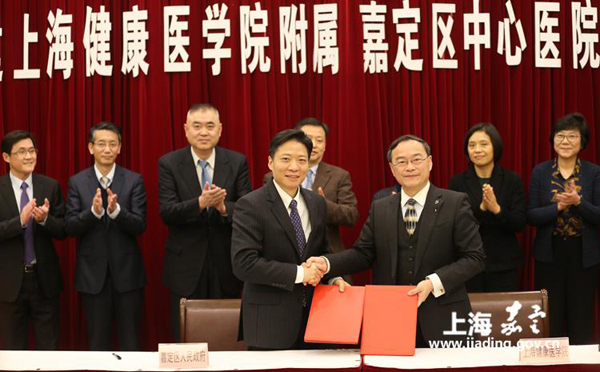 The government of Jiading district agreed with Shanghai University of Medicine and Health Sciences to jointly rebuild Jiading Central Hospital on Jan 11. Jiading Central Hospital, originally built in 1947, will become the affiliated hospital of Shanghai University of Medicine and Health Sciences, integrating medical treatment, teaching, R&D, prevention and rehabilitation. Huang Xuyuan, the hospital director, said that it will take advantage of Shanghai University of Medicine and Health Sciences for education, scientific research and talent training to upgrade the medical service level and provide quality treatment to citizens. Construction of the Shanghai University of Medicine and Health Sciences Medical Imaging Clinical Center and the Jiading Heart Failure Center was targeted during the agreement-signing ceremony. 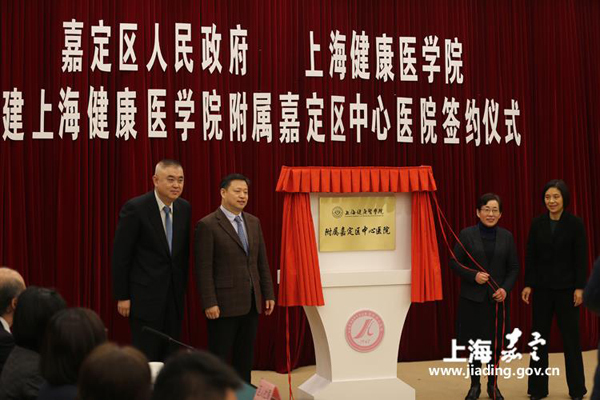 The new imaging clinical center will not only serve to educate students but will also offer real-time remote diagnosis and training services to 18 medical institutions in Jiading district. Jiading Central Hospital will work with 13 other local community health centers to set up a database of heart failure management to reduce the re-hospitalization rate. In recent years, medical and health undertakings have developed rapidly in Jiading district. A medical service system covering everything from tertiary hospitals and regional medical centers to community health service centers and community health service stations is emerging. A group of high-performance medical equipment and precision medical enterprises has also gathered in Jiading.